Established to progress the 2003 Woodland Strategy, the Monitoring Action Group (MAG) has overseen this site's makeover. The site is designed as a practical development tool to encourage the inclusion of trees and woodlands in projects wherever trees can add value. 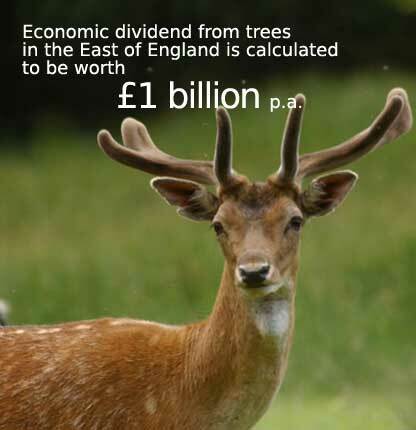 This task involved building on the 2007 strategic review, and conducting the 2010 reappraisal of the value of woodland throughout the East of England. ii. A library of case studies showing how different users were able to practically secure tree and woodland benefits. Presented in a way that members of both the public and professionals can easily access and use it to support any proposed project involving trees or woodland.